M&P can make custom Polyamide-imide Machined Parts to your specifications or drawings. We have a plastic machine shop; Polyamide-imide is one of the plastics we can use to make parts. Torlon® is the main polyamide-imide (PAI) M&P uses. Parts machined from Torlon® provide greater compressive strength and higher impact resistance than most advanced engineering plastics. Torlon® has an extremely low coefficient of linear thermal expansion and high creep resistance, which provides dimensional stability over its entire use range. 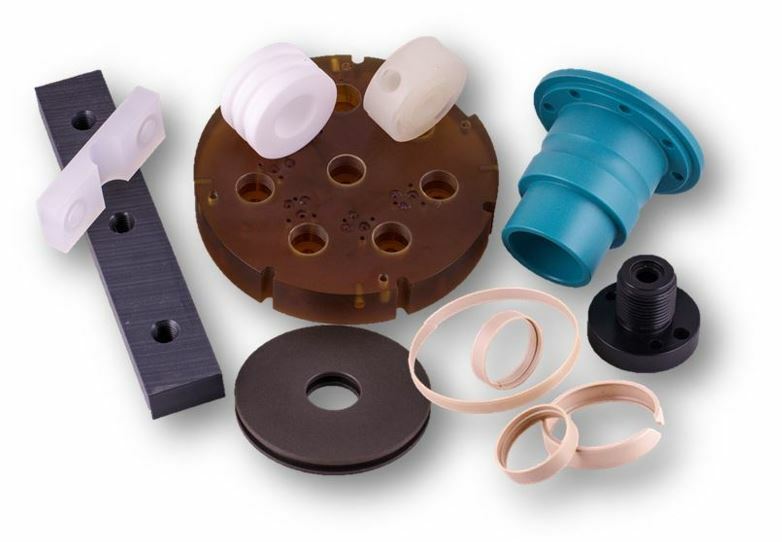 Polyamide-imide Machined Parts are made in a completely controlled environment. Polyamide-imide O-rings, Polyamide-imide Seats, Polyamide-imide Bushings, Polyamide-imide Bearings, Polyamide-imide Guide Blocks, Polyamide-imide Wear Pads, Polyamide-imide Washers.